Well, my dears, I tell my tale as I sit by their roaring fire. Outside is bright and brisk, the sky as pale as powder, its blue winters light illuminating the splendid snow capped hills. There will not be that many times I think to myself when I visit a tea room where all the men are dressed in skirts, and the women wear the trousers! The secret to this observation though lies in its location. 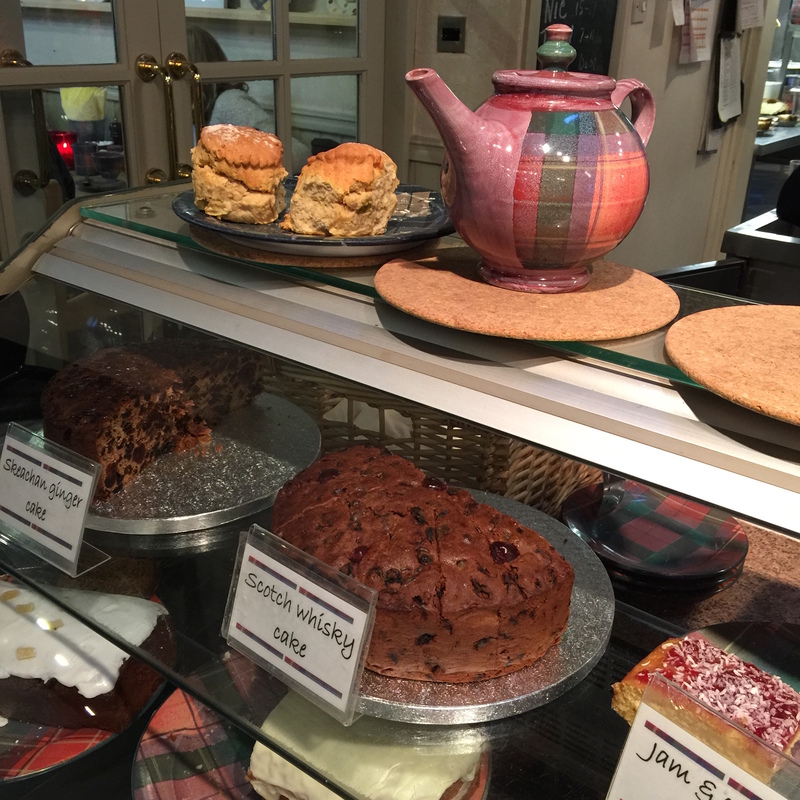 I am in the beautiful village of Luss, on the bonnie banks of Loch Lomond and the men, well, all the men serving tea are dressed in their tartan kilts! Iced ginger cake is recommended by one of my newly found kilted friends. It does not disappoint, and neither do the giant cinnamon and apple scones. All served in beautiful tartan crockery. The tea is leaf, needless to say, I am in kilted tea heaven.